B.C. Liberal minister Bill Bennett's Internet use is raising eyebrows again. This time, he took to Twitter to call the Opposition NDP "turds." Bennett, a longtime politician who has been kicked out of cabinet before, tweeted from the B.C. Liberal caucus meeting on Tuesday: "I am with the BCL Caucus tonight. Strange everyone seems to be getting along. Ok. Come on ndp turds. Bring it." "Stay classy," replied Peter Kelly while user Unionwill said: "Why bother with leaked memos anymore. Just sit back and let this guy open his yap." Bennett, who is the minister of community, sport and cultural development, apologized for the name-calling in the B.C. 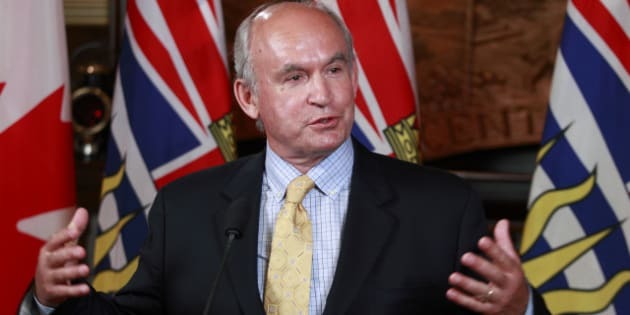 legislature on Wednesday, saying he respects what the B.C. NDP does, according to CBC legislative reporter Stephen Smart. When asked about it earlier in the day, the outspoken East Kootenay MLA admitted it's not a term he would use "in ordinary discourse." According to The Globe and Mail, Bennett told reporters: "It was said in jest. It was said tongue in cheek. I don’t know. Has everybody lost their sense of humour or what?" In 2007, Bennett was forced to step down as minister of state for mining after sending a profanity-laced email to a constituent. In response to someone who wrote to complain about a review of B.C. 's big-game hunting policies, Bennett said he didn't "give a s#*t" about his opinion, and called him a "self-inflated, pompous, American know-it-all." In 2009, Bennett was accused of running an election ad that offended aboriginal people. In 2010, he called environmental activists trying to protect the Flathead Valley "eco-terrorists" in an email, reported CBC News. Bennett openly criticized then-party leader Gordon Campbell in 2010, leading to his being booted out of cabinet.